Act 24:8 And from whom you will be able, by questioning him yourself, to get knowledge of all the things which we say against him. Act 24:15 Hoping in God for that which they themselves are looking for, that there will be a coming back from the dead for upright men and wrongdoers. 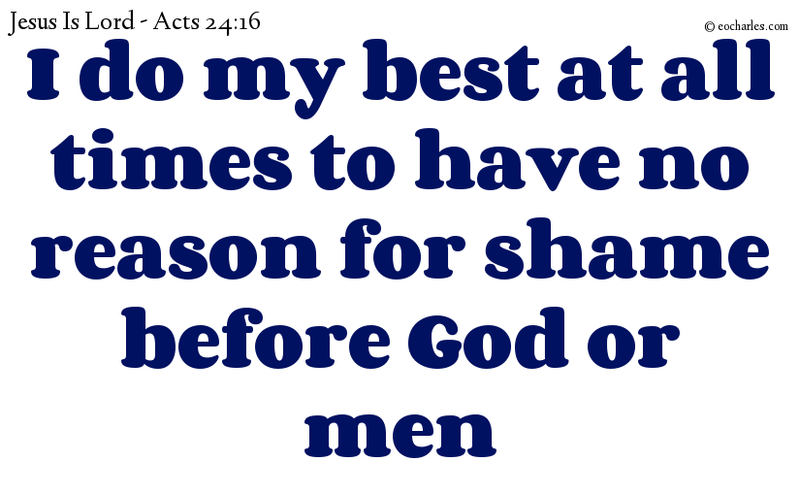 Act 24:16 And in this, I do my best at all times to have no reason for shame before God or men.